I want to share with you a gem of a school which has an amazing curriculum and philosophy to its approach to teaching. Aspen Academy is an independent Junior Kindergarten through Eighth Grade, private school located in Greenwood Village, Colorado. 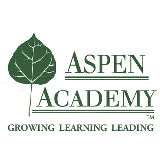 Just minutes away from Denver,CO, Aspen Academy emphasizes academic rigor, character and leadership development, and community strength and service. Through a variety of teaching and experiences that prepare our students for life’s challenges, Aspen Academy places a strong emphasis on Leadership and entrepreneurship. 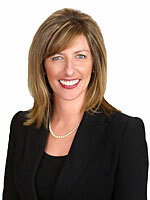 Click on “THE ASPEN ACADEMY EXPERIENCE” to see what Aspen is all about. Aspen Academy was voted as a Top Private School in Denver by 5280 Magazine. I speak from experience when I say how impressed I am with the education my daughter receives. Located at 5859 S University Blvd, Greenwood Village.